Dalio Sijah is the journalist and researcher for Truth-o-meter – first Bosnian fact-checking initiative of CA “Why not” from Sarajevo. He is the member of the CA “Why not” team from July 2011. He also takes part in implementing all other projects of the organization, including public relations duties and activities. Before joining CA “Why not”, he held the position of editor and producer for the Association Radio Station Alter Media; reported on war crimes processes at the BiH Court for BIRN news agency; worked as a producer for podcast titled Arena on BH Radio 1; and held the position of editor and anchor of daily news at Radio Antena/RSG radio station. As a PR coordinator he worked for advertising agency Communis and Aquarius Ogilvy. Until October 2014. 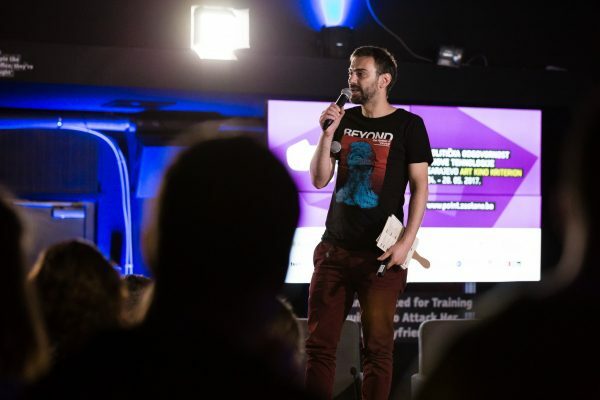 He attended the Faculty of Philosophy, department for Philosophy and Sociology at University of Sarajevo, and he also graduated from the School of Journalism MEDIA Plan in 2005.